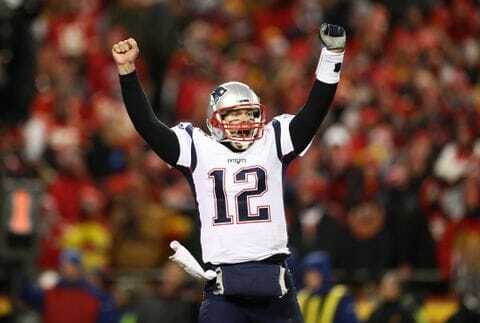 Patriots Gab - The Definitive New England Patriots Blog! The 2019 NFL Schedule is out – and Patriots fans you can start to look at what trips you want to take and days off as well! Here it is – the complete 2019 Patriots slate! Patriots quarterback Tom Brady and veteran defensive end Michael Bennett were not among those in attendance for the start of the team’s voluntary offseason program on Monday, Field Yates of ESPN reports. 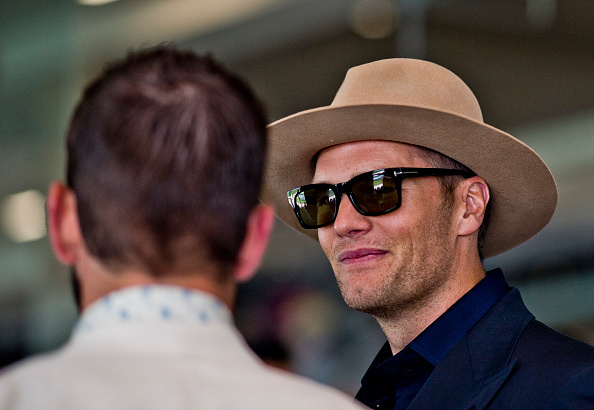 Brady did not take part in last year’s workouts, and the expectation was that this would become his regular routine in an effort to spend time with his family. Bennett has almost always trained away from his team during the offseason, making his offseason home in Hawaii. Pro Day is always a huge day for coaches, general managers and scouts to go see what players they may want to take a chance on in the upcoming NFL Draft. This year is no different, and today is chock full of Pro Day’s around the country, with Baylor, Boston College, Georgia, Notre Dame, Ohio State, Pittsburgh and USC all hosting those powerful people that make important decisions. 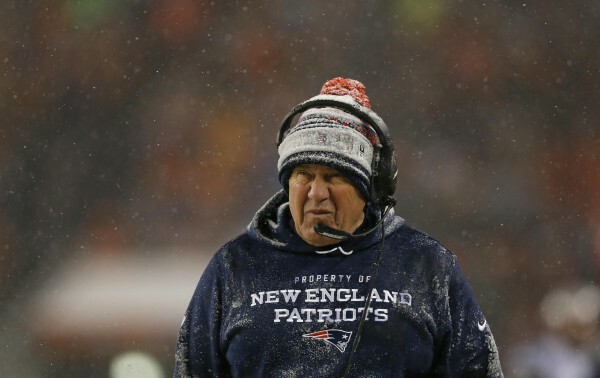 That leaves one big question, one that if you had a bonus from bethar you could probably place some money on – where is Patriots coach Bill Belichick today? The legendary and future Hall of Fame coach is in Georgia, watching the Bulldogs Pro Day, this after he spent Tuesday down South (likely enjoying the much nicer weather), attending Alabama’s pro day. Belichick will have quite a few option at top possible NFL players that the Pats could have an interest in while watching the Bulldogs. Among those on the list include the following wide out Riley Ridley, wide receiver Terry Godwin, running back Elijah Holyfield, cornerback Deandre Baker and defensive end D’Andre Walker. Ridley is a solid prospect who the Pats could use at the wide receiver spot, running a 4.58 at the combine, and he led the Bulldogs with 44 receptions for 570 yards and nine touchdowns in 2018, starting 12 of 14 games played. Godwin is another interesting prospect at the wide receiver spot, as he caught 38 passes in both 2016 and ’17, but struggled last year as he had just 22 catches. He still showed enough potential to earn a Shrine Game invite, and as the game’s offensive MVP and arguably the best performer regardless of position in the week of practices. Holyfield, the son of former boxing champion Evander Holyfield, has outstanding vision behind the line of scrimmage and a great feel for where space is going to develop. He also knows how to push his path both vertically and horizontally to put defenders where he wants them. Especially adept at pressing line of scrimmage to draw in force players, then bounce outside of them. Can he be a fit for the Pats, it sounds like it. The cornerback on the list is Deandre Baker, and his game has gotten better each season for the Bulldogs, and surely he will have a lot of eyes on him today. He had a senior season that saw him earn first-team Associated Press All-American honors and win the Jim Thorpe Award as the nation’s best defensive back. He was a first-team All-SEC pick, starting 13 games and recording 40 tackles, two interceptions and a team-high 10 pass breakups. Keep an eye on him and if he slips far enough, the Pats will have their eyes on him. Walker was a backup for the Bulldogs in his first three years, but played well and made plays just about every time he took the field. In 2017 as a Junior, he ranked second on the team with 13.5 tackles for loss and 5.5 sacks (among 40 stops) as a key reserve in all 15 games. 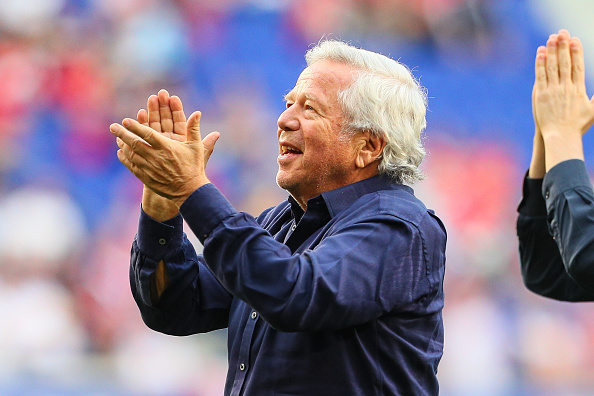 TMZ has the latest on the breaking story on Patriots owner Robert Kraft and the prostitution, human trafficking sting operation in Florida that broke early today. Patriots owner Robert Kraft is a wanted man — cops say they’ve issued a warrant for his arrest as part of a recent prostitution, human trafficking sting operation in Jupiter, Florida. 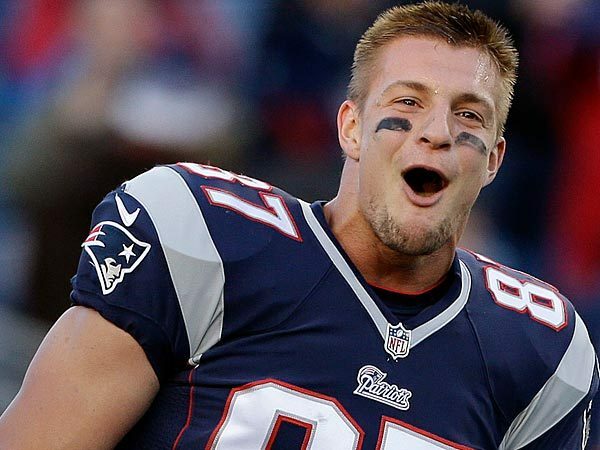 There has been a great deal of speculation on the future of Patriots tight end Robert Gronkowski. He said after the Super Bowl he would take a week or two to decide whether to retire. 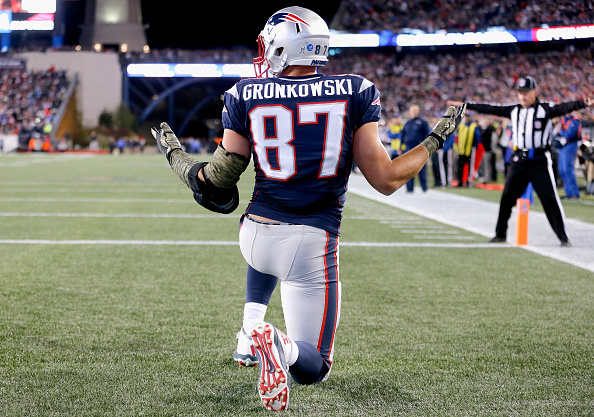 Gronkowski appeared on Jimmy Fallon’s “The Tonight Show” on Wednesday. 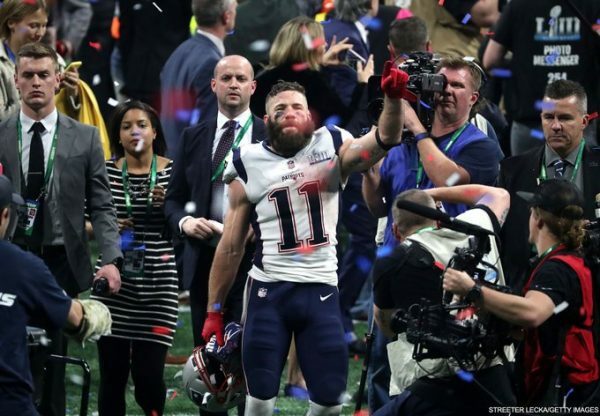 In the interview, he did not shed any light on speculation that he will retire from playing football before next season, Kristin LaFratta of Masslive reports. Before the Patriots embarked to Atlanta last Sunday afternoon, Tom Brady led the 35,000 fans crowding the Gillette Stadium field in a cheer, one with a surprising message. “We’ll still here!” they cried repeatedly, reminding the sports media-industrial complex, forgetful fans and anyone who would listen that reports of the Patriots dynasty’s death had been greatly exaggerated. On Sunday evening, following a 13-3 victory over the lifeless Rams at Mercedes-Benz Stadium, the refrain returned, this time with added meaning, Jeremy Bergman of NFL.com reports. The Patriots had bought what they were selling, and it worked. 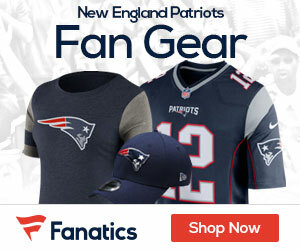 Get ready to show off your Patriots pride all over town wherever you live with this official Super Bowl LIII merchandise following the teams’ 13-3 win over the Los Angeles Rams Sunday night! 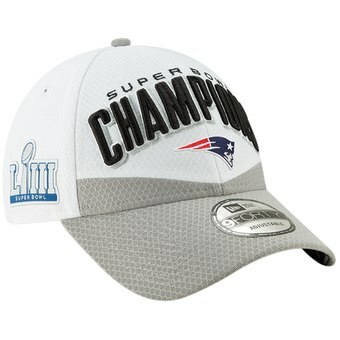 Click HERE to check out all the great items for sale – hats, shirts, sweatshirts, the championship towel, the official Super Bowl LIII DVD, and much more! Order now and you can also get free shipping on all orders inside the United States over $29!!!! Don’t miss out, grab this great merchandise today as it’s time again for another celebration as the Patriots are champs for the 6th time in franchise history! Again, click HERE right now to grab this great Super Bowl LIII Merchandise!